Over 7 years of continuous collaboration between FLASHNET and Saudi Delta Co. have now reached a new threshold: more than 150.000 street lights are controlled in Saudi Arabia by the inteliLIGHT® smart street lighting technology. Riyadh is the capital and largest city of the Kingdom of Saudi Arabia. It is also the capital of Riyadh Province, and belongs to the historical regions of Najd and Al-Yamama. It is situated in the center of the Arabian Peninsula on a large plateau and is home to more than 6 million people. Home of both historical sites (as Masmak Fortress) and impressive modern architecture (the distinctive Kingdom Center sky scraper), Riyadh is an important administrative, commercial and touristic center right in the middle of the Arabian Peninsula. inteliLIGHT®’s adventure in Saudi Arabia begun in 2011, with what was at the time one of the largest smart street lighting control implementation in the world – 25.000 lamps in Mecca. 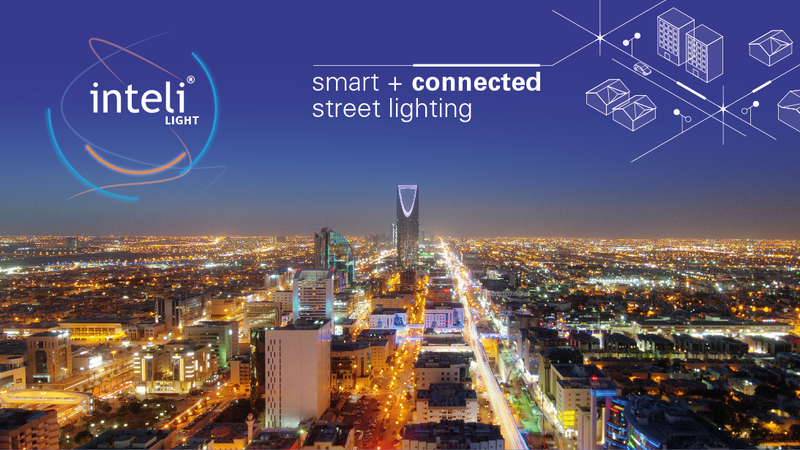 inteliLIGHT® has been supporting the Saudi interest in developing modern technologies with smart street lighting projects for years in cities like Arar, Unaizah, Kharj, Qatif, Dalam and of course, the capital Riyadh. The first projects used PLC (powerline communications) as preferred communication technology, but IoT communications have evolved a lot in the last years. The projects developed in 2018 promoted GSM/NB-IoT/LTE-M communications, for their excellent penetration in dense urban areas, carrier-grade security and proven reliability. For more flexibility and redundancy, the system uses the latest inteliLIGHT features, switching automatically between available communication technologies. “After seven years of continuous and successful collaboration with the general contractor Saudi Delta Co. and with the Saudi authorities, we are now proud now to control more than 150.000 street lamps in Saudi Arabia. It is very good to know that our previous successful projects have inspired the continuation of Saudi investments in the smart street lighting field.” Said Mr. Lorand Mozes, CEO of Flashnet, the company that develops inteliLIGHT®. 600 lighting panel control and monitoring units (FRCM) were installed in the last quarter in Riyadh, controlling over 60.000 streetlamps. Positioned inside the feeder pillar, the devices are designed to provide autonomous operation for street lighting installations and to carry out three phase measurements and analysis of electrical parameters in street lighting grids. Autonomous operation is provided based on predefined astrologic calendar and/or external light level sensor (digital INPUT), with remote real-time ON/OFF control and multiple configuration options. The controller is provided with an embedded LCD to display electrical information and device status for maintenance teams. The project deployment unfolded smoothly, coordinated by Saudi Delta specialists and implemented locally by Advanced Engineering Solutions Co. During September and October 2018, with FLASHNET remote support available during the implementation. 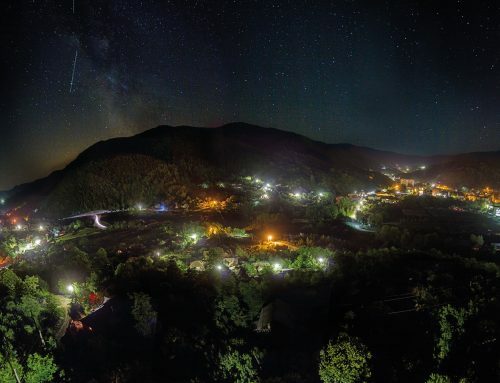 inteliLIGHT® StreetLight Control, the software coordinating the entire project, was installed on local servers and Flashnet® deployed training and coaching personnel to prepare the system’s local operators. The system can use one or more IoT communication technologies into the same implementation, with extended flexibility features in terms of geographic deployment and third-party integrations. 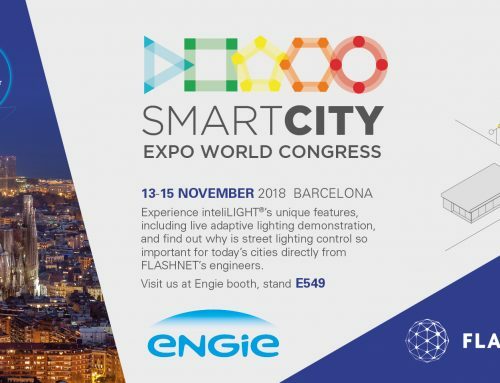 Due to its lamp-level control, inteliLIGHT® also acts as a smart-city facilitator, keeping the lighting grid powered up even during the day, offering continuous supply for other smart city sensors and applications. 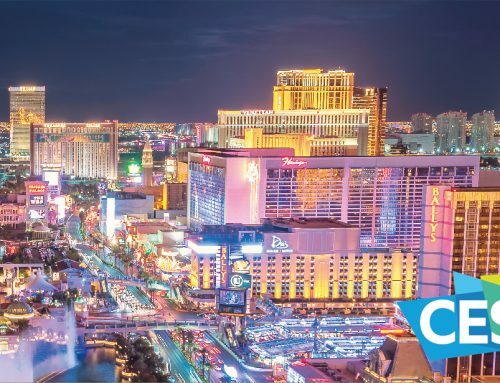 Also, the inteliLIGHT® Streetlight Control software comes with native southbound and northbound API connectivity and proved integration experience with smart city management software suites like CISCO CDP, making it accessible for Smart City interactions.